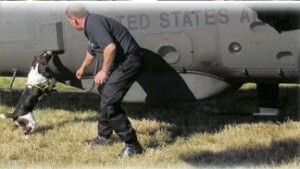 Protocol and Canine Services has a solution for your peace of mind. We are now providing trained narcotic detection dogs and handlers to private companies. 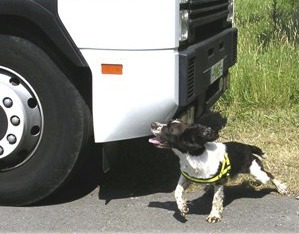 Our search dog teams can detect the presence of all forms of cocaine, meth-amphetamine, other amphetamine based substances including ecstasy, ketamine, heroin, and cannabis in all their forms. Drugs in the workplace cost British companies and employers hundreds of millions of pounds per year in losses in productivity, worker’s compensation claims, liability law suits and bottom line profits. Is your company experiencing some of the symptoms of workplace drug use? Low morale, increased theft, decreased productivity, increased absenteeism and higher work related injuries are all warning signs of drug use. Consider your staff who do not use illegal drugs, their morale could be enhanced if they see a positive but also a caring attitude from their management in relation to drug abuse. Provide yearly contracts with a specified number of random visits per year. Some employers take swift action against an employee found to be violating the Drug Free rule. Some bring in legal authorities, others prefer to utilise suspension and drug rehabilitation. Either way, the decision remains in your hands. At Protocol and Canine our staff are available for consultation and immediate response, but you are in control. Substance abuse in entertainment venues in the UK is on the increase. Drug use by young people in a club environment poses many challenges to all those responsible for the regulation of nightclubs and other dance venues. For many, but certainly not all, young people attending clubs, drug use has become an integral part of their night out. As part of our services when monitoring queues at your premises we can supply an undercover officer who spots dealers on the premises. He or she will not be known to door staff, if required, and is in constant covert radio contact with the dog team. We understand that, as club management, you are under more pressure than ever from Police and local licensing authorities to be seen taking a pro-active stance on substance abuse. Protocol and Canine Services can help you. MPCTC recommends the services of Protocol and Canine. 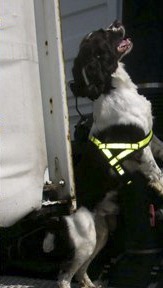 Drug dogs come in two forms generally, as do most search dogs. A proactive dog works as part of the team but will search independently off the lead, tasked by verbal and visual stimulus to search target areas under guidance from the handler. In general the dog will have a proactive indication, i.e. scratch the area or a passive indication, i.e. sit, or bark; whatever suits the dog and handler. This is all done at the training stage. Proactive dogs are generally used in buildings and office blocks. Passive dogs are generally worked on the lead to facilitate more intimate searches, for example on people or queues of people, vehicles or where it is safer or more prudent to have more control. To be less intimidating as to the reason for search, these dogs generally have a passive indication only, which is normally a sit or a stare freeze. Cocaine, marijuana, heroin and amphetamine (and variants of them) are present in most target searches. Our drug dogs will also find firearms and associated materials such as gun oil, black powder and nitro for ammunition as guns are associated with drug use and supply. At Protocol and Canine we have dogs trained to work as bed bug detection dogs, they are trained in the same way as all search dogs but with the bed bug as their target substance. Handlers are qualified in pest control and environmental management, they are certificated with the RSPH (Royal Society for the Protection of Health) and BPCA (British Pest Control Association). These Dogs are commonly used in hotels, prisons, shipping, military bases and private homes. Bed bugs can lay dormant for a year before they become active, our dogs can detect these insects to satisfy the client of a bug free area without needing to use chemical or other intrusive ways for determining and treating affected areas. The dog will only indicate whether bugs are present – we don’t offer extermination services – but we do offer peace of mind; much cheaper than paying for fumigation and a lot more discreet. Bed bugs live in crevices and skirting boards, so to find them could mean that these places would need to be prised open, risking damage to the property. The use of a dogs highly powerful sense of smell will save costs, damage and potentially the use of chemicals. At Protocol and Canine we are currently developing dry rot and woodworm detection dogs, again a non intrusive and fast way to detect a pest problem. For more information please don’t hesitate to get in touch.